"By 1871 a program designed to create coastal defenses in Crimea, which would not be affected by the pact, was already in full swing." At the end of the 19th century the first and last 'round' battleships in the history of Russia appeared on the Black Sea. They were known as Popovkas. "Since Russia didn’t have any money and was also forbidden to have a full-fledged fleet on the Black Sea, we had to experiment," added Khodaryonok. What happened to the 'Popovkas' afterwards? Nevertheless, the idea of round battleships did not die. After the destruction in 1878 of the imperial ship Livadia, the imperial court showed interest in the ships. In the new project the Popovkas took note of the defects of the previous vessels. The body was flatter and their speed was increased to 15 knots with a draught of 1.8 meters. The ships were also built in Great Britain, but according to Russian blueprints. On September 24, 1880 Livadia left the dock. It was equipped with the most sophisticated technology for the times, including the "Yablochkov candles" (the first electric arc lamps) and plumbing. Also, thanks to the new construction, it possessed good navigational qualities. 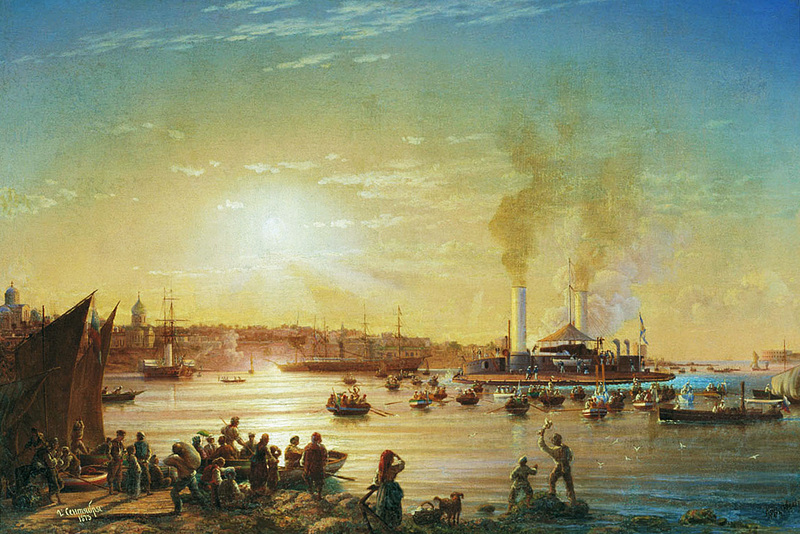 But when Alexander III ascended the throne in 1881, Andrei Popov fell into disfavor and the Russian Empire, which had increased its shipbuilding potential, began constructing a new full-fledged fleet for the Black Sea. That is why interest in the unique round ships fully disappeared. Thus the Livadia was transformed into the Opyt steamship, which for a long time was anchored purposelessly in St. Petersburg, then transferred to Sevastopol before being decommissioned in 1926. The same fate awaited the other Popovkas. Both the Novgorod and the Vice Admiral Popov remained moored to an Odessa pier until 1913 when they were sold to private hands. "This project was not developed further and in general, the experience with the Popovkas is considered unsuccessful. That is, the ships had problems and no notable qualities. However, in terms of its external form, the ship was rather original, although in battle it was extremely limited," Khodaryonok summed up.